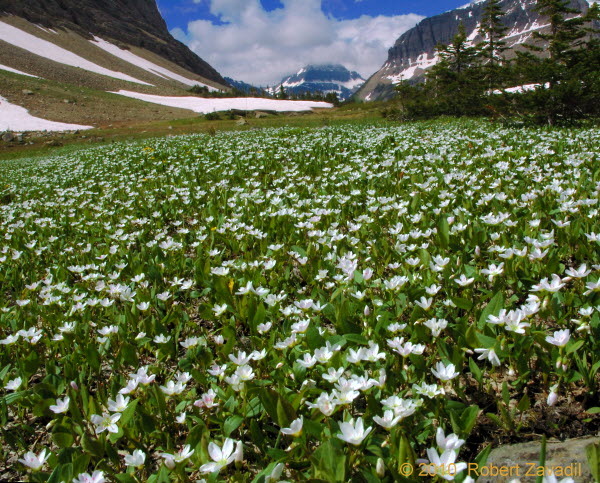 One of the first wildflowers to emerge in Glacier National Park with the retreating of the winter snows is the Springbeauty. This small delicate flower can be found at a wide range of elevations. Here it is seen forming a dense cover in one of Glacier's many alpine valleys.